It’s that time of the year again for sleigh bell ringing, yuletide carol singing, and festive gatherings. Your dentist in San Marcos encourages you to enjoy the holiday season while maintaining optimum dental health. Read further to discover some helpful tips. You don’t have to choose between holiday fun and maintaining your dental care. There are ways to achieve both. Choose Healthier Snacks – There are many low sugar choices for snacks and beverages for you to pick from. Fruit is an awesome option. It has natural sugars that are less harsh on the enamel on your teeth, and can be eaten whole as a smoothie, or infused into water. Pay Attention – Even if you’re at a holiday party, you can still stay on track with your goals by paying attention to all the options available to you, and being sure to consciously make decisions, avoiding mindless eating. Schedule an Appointment – In the event that you notice any problems like tooth pain or gum bleeding make sure to reach out to your dentist to schedule and an examination to avoid gum disease and infection. Enjoy Yourself – You don’t have to miss out on any fun to maintain healthy dental care. On the contrary, you’ll be able to enjoy your holiday more, knowing that you’ve taken the proper steps to ensure that you’ll enter the new year with a beautiful smile and healthy mouth. The main mistake to avoid is abandonment of your dental care. Maintain your regimen of brushing and flossing at least twice daily. If you’re on the go, just make sure to carry all your utensils with you. Try to avoid snacking between meals and grazing. This can possibly cause problems because continuous eating bathes your mouth in bacteria, and usually doesn’t involve the best food selections. Don’t feel compelled to make unhealthy food choices to fit in with guests, co-workers, or friends. Explain to your group why you are making conscious, healthy decisions, and how this is important to both your dental and overall health. Who knows? Maybe you’ll inspire them. There is great power in being a regular – as in visits to your dentist for cleaning and examination. Make sure to get in every six months to maintain your healthy mouth. Dr. J. Robert Donnelly earned his Bachelor of Science degree from Texas A&M University. After serving his country in the United States Marine Corps, he went to The University of Texas Health Science Center in San Antonio to achieve his Doctorate of Dental Surgery. 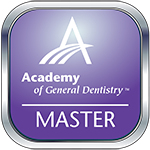 He has also completed the rigorous course of study to hold the status of Master of the Academy of General Dentistry, and graduated from the Las Vegas Institute of Cosmetic Dentistry. 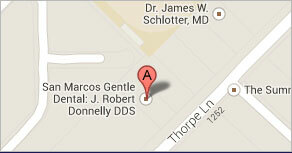 He practices at San Marcos Gentle Dental, and can be reached for more information at his website.